Ok, so.. here's the deal. The game, site mascots, story originally dubbed "Project Fumi" in 2003 and later named "Tenshi-Oni" is now officially a licensed/copyrighted property. Granted, they technically have been since 2003 as the mascots, Fumi and Lily have been here on the site since the beginning with Yumi coming in around 2007 with the creation of the anime store section. Since then there's been some art contests and such with the characters and, though not truly known as more newer mascots, like my friend Danny Choo's Mirai and co... they still are somewhat known...or, once the game comes out, will definitely be. As of this week, the IP of "Tenshi-Oni", the characters, story about a blue-haired Japanese school girl named Fumi who can transform into an angel or demon and the game's code has been officially copyrighted on paper. 2) The game will be on iPhone to start. If successful I'll be able to work full time on it for even greater versions/upgrades of the game, more games and on more devices/systems. With that comes the inevitability of copycats. Look at FlappyBird for example. My goodness did the copycats came along during and after it' eventual takedown by it's creator. I'm not against people emulating what I'm doing with the game..I mean, my game takes bits and piece of game play style from a few things, particularly 2D side shooters...but then it opens the door for a Candy Crush-like situation. What do I mean by a Candy Crush situation? To put it briefly, in 2010 an indie game dev made a game very similar to Candy Crush... before the game even came out. The devs at King basically copied this game to create Candy Crush. The most damning issue wasn't so much that the game emulated CandySwipe almost to the tee...it was that King went and sued the creator of CandySwipe after their copycat game got big. Yet another incarnation of a Copyright Troll. If Tenshi-Oni becomes even semi-popular and worth copying..it'll inevitably happen. I can't stop that, in some cases I'll welcome it if I'm the head of the pack/the real macoy... but I want to squash the Trolls using the system itself before they come after me; even after the fact the game's been an IP since 2003. 3) To protect the fans from Copyright Trolls. One thing I want to make certain about my legally binding the name "Tenshi-Oni", "Project Fumi", etc... I do NOT want to steal a fan's ability to showcase, fanfic, etc this work. Problem is, as we see with YouTube's terrible Content ID system... a fan of Tenshi-Oni could say, show a Let's Play of it, draw fanart, make a music video of it, and do what us here at CAS and other fans have one for years with anime/game IP we love..simply share their love for it. Copyright Trolls have gotten so bad that ha I not do this, a fan could make an AMV of the game, post it on youtube (and I' be 1000% OK with that).but a copyright troll could claim it and pull down the video under my name...when it wasn't actually me. This happens DAILY on Youtube since they "updated" their Content ID system. 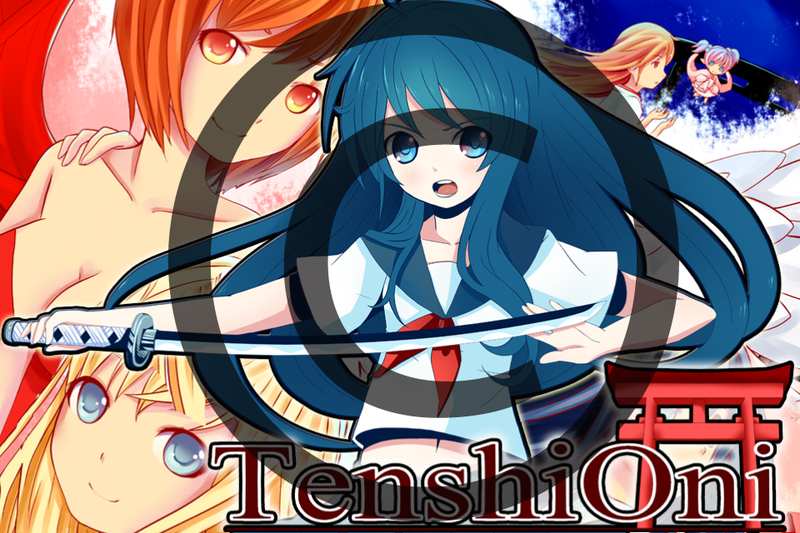 If Tenshi-Oni becomes loved enough to be worthy of AMVs, Let's Plays, fan art, etc...I want to be on the front lines to make sure you fans can do so without ANY slack from a Copyright Troll claiming my work as theirs. please by all means, make parodies, more fan art of the mascots, AMVs, what have you before during or after the game's release and anything tied to the Tenshi-Oni story. I will not be angry and take down your work for the sake of "protecting" Tenshi-Oni... I, more than anybody else know that anime fandom's sharing HELPS an IP, not hurts it. The best way to fight copyright trolls who'll go after me or the fans here...is to use the system they game to fight them back... and that's what I did.